Check out the last three Tuesday posts before reading this one! 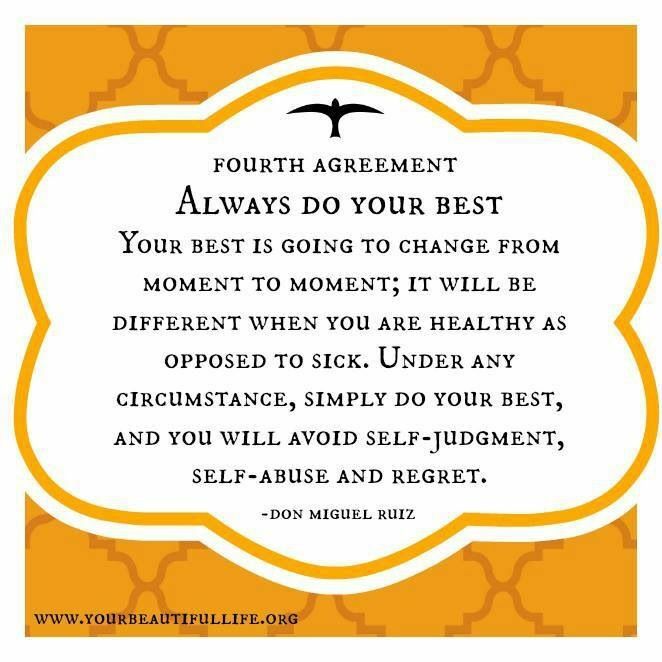 The first thing we can do is practice the first three agreements the very best that we can. Part of bringing our best to every situation is having the ability to honestly assess, acknowledge, and ultimately accept what our best is in each moment. Giving our best to our family, our work, and to every commitment we make— takes an incredible amount of energy. So it means we must schedule and use our time wisely, so that we don’t end up showing up burnt out or resentful. 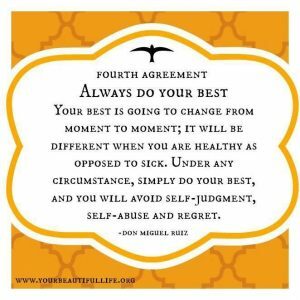 So there’s an interesting layer to this agreement— examining the “how” of how can we set ourselves up for success to do our best? There are more obvious things like eating well, moving our bodies and getting enough sleep. But even more than that, I think sometimes we forget generic xenical orlistat that we have the power to play a leading role in our lives. And for me, that means taking great care to balance work, play and rest and spending my time how I want to spend it. It means taking an honest look at my habits and determining whether or not they serve my best self today. In the present. All of this can be practiced both on and off the mat. But how lucky we are that we have the opportunity to go to yoga and work some of this stuff out in a safe, controlled environment; essentially hitting the pause button on our lives so we can reconnect to who we are and what our best really means to us today. The conclusion I reach every time— Always do your best…to love. Love yourself, love the people it’s hardest to love, in all moments, especially when it hurts, and all will be well. How do you set yourself up for success to always do your best? Please share your thoughts in the comments section of this post! I love your comment about my habits serving my best self today. A reminder that we and our circumstances are continually changing and to ecoirage our intelligent discerning and inspired mind to recognize and change when necessary. I find that meditation is a great time for these revelations to appear. Thanks for your words of wisdom.